Our Jungle range of playground play towers starts with the Mini Jungle Play Tower. 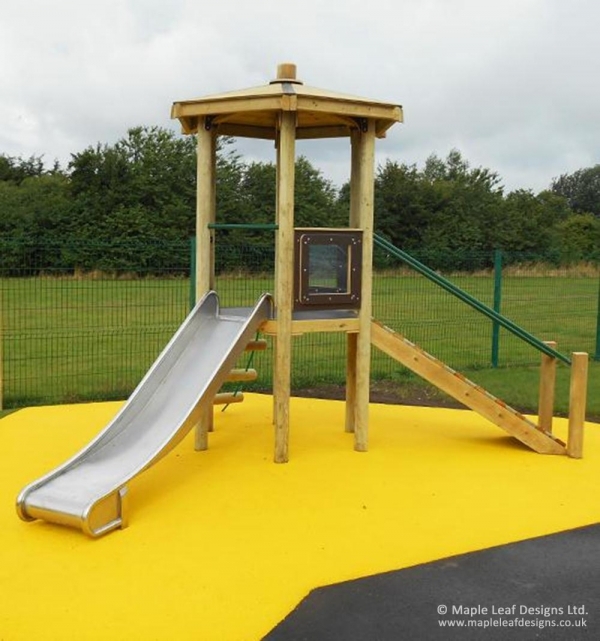 Constructed from round timbers forming a hexagonal tower with a roof, the standard tower features a metal slide, a wooden ramp and a rope latter, along with HDPE framed polycarbonate windows. They make a brilliant focal point that children love, and as with all of our towers we can alter the configuration of the components to suit your needs.